I just watched “Robocop” for the first time a couple of years ago. I was impressed. While it definitely has an 80s style to it, I think it still holds up pretty well for today’s audience. I was shocked at how violent the film was. Not a bad thing of course. As much as I enjoyed the original, I was happy to hear that it was gonna get a remake (I feel the same way about “Total Recall”). While we have known for some time that Jose Padilha is directing, the project just got two big announcements. 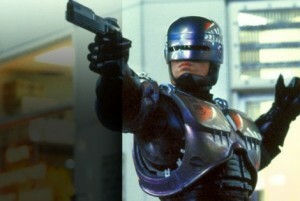 We now know that Joel Kinnaman will be the robotic law enforcer. Though many people, including myself, may not be familiar with his name, chances are good that you have seen him in at least one recent movie whether you realized it or not. Last year he appeared in Ficher’s “The Girl with the Dragon Tattoo” and “The Darkest Hour”. This year he starred alongside Ryan Reynolds and Denzel Washington in “Safe House” as well as the TV series “The Killing”. Despite this being a more high profile, and leading, role for him, audiences are unlikely to recognize him still due to the fact that I am sure his face will be half covered for most of the film. The other big news for the production is that Sony will be distributing the MGM production. This is a partnership that has been pretty active this year. Sony distributed “The Girl with the Dragon Tattoo” and “Zookeeper” last year. This year they will be distributing “21 Jump Street” and the new James Bond adventure “Skyfall”. All of which are MGM productions. Is this a film that you are looking forward to or do you think that the original should just be left alone? Let us know what you think in the comments below.